Before I start this post I have to say this to Ant………DO NOT READ THIS POST!!! 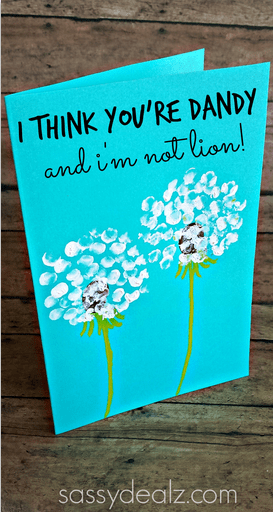 Ok, with the dad out of the way, I wanted to share some ideas I’ve found for the kids to make for Father’s Day. Ant doesn’t like us to spend money on Father’s Day. He says he doesn’t think there should be a Father’s Day but I know he loves the gifts they make him so he doesn’t protest too much! 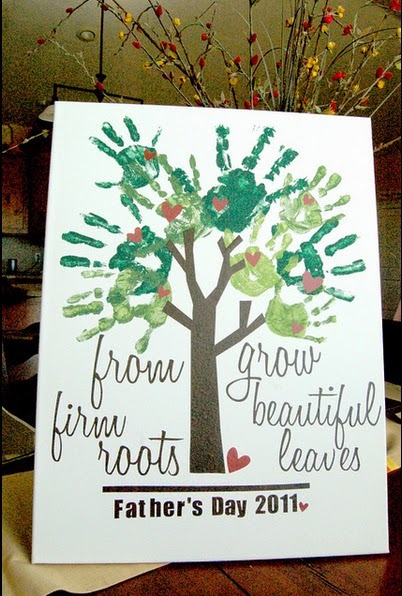 For a craft that they can work on together, I found this canvas that I know they’ll really enjoy making. The kids are home this weekend (they go to Derbyshire 2 weeks out of three to Aiden’s dad’s) so I’m planning on getting organised a week early rather than rushing round the night before! Hehe I like the cards that play with words too! The canvas is fab! I'm (obviously) unorganised and need to get a move on …..
Love these – especially the canvas with the leaves…what a lovely idea. What lovely cards, love the tree one. Have a great time making them! These are great ideas, thank you for sharing them. I know my kids will love the minion one! The fingerprint dandelion card is so cute and really easy too. Home-made cards are the best! 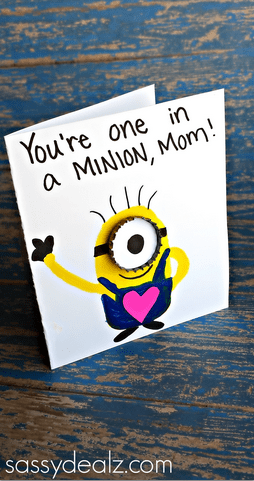 Love the Minion card, my children would love to make something like that for their daddy. Great ideas, love the dandy card especially!